The houses in the photo are from the 16th and 17th century. Without a doubt, they are one of the wonders of this beautiful town. 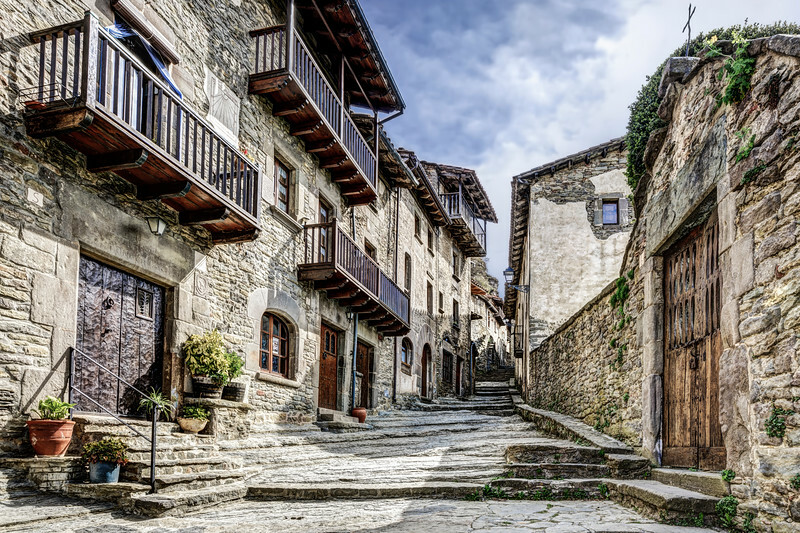 Walking on the surrounding streets, you will also be able to enjoy the baroque Church of Saint Miquel, the hanging bridge, or, if you want to enjoy a nice stroll, you can visit the El Salt de Sallent waterfall located three kilometers away from Rupit.